With the ever-increasing range of products on the car market – just think about the number of SUVs and vans that you see on the roads nowadays – and the increase in globalisation, the number of different tyres also increases from year to year. Tyres are becoming wider, bigger, more hard-wearing and faster, and the demands which are made of earth mover and tractor tyres are continuously on the increase. As well as the well-known makes, more and more less well-known manufacturers are coming onto the market and touting for the customer’s favour with low prices. 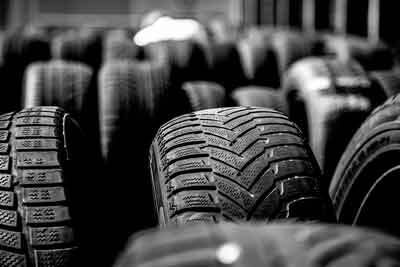 A tyre wholesaler has long since been able to fall back on a vast range of thousands of different tyres for cars, motorcycles, commercial vehicles, vehicle models and types, summer tyres, winter tyres and year-round tyres. 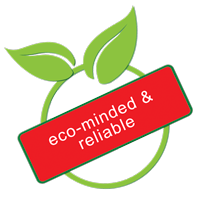 Then there are environmental regulations, seals of quality and energy-saving requirements. Particularly premium vehicle manufacturers demand adherence to extremely exact characteristics from tyre manufacturers. Maintaining an overview in view of this huge number of products is almost impossible for the layman. However, against this background, giving competent tyre advice is becoming increasingly difficult and complex. This requires a considerable amount of competence, a great deal of product knowledge and continuous involvement with the market. With KURZ Karkassenhandel it’s all about the tyre, without restrictions. Not only do our employees know about scrap tyres, but also new tyres, and can provide you with individual advice. Regardless of the area you are interested in, be it cars, HGVs, light commercial vehicles, industry, tractors, earth moving machinery or wheelbarrows – you are definitely in the right place with us. Get some expert advice, so that your drive home with the tyres that fulfil your requirements exactly at the end of the day. Our product range includes new and used tyres from all tyres areas, and all of the most popular premium and budget brands at reasonable conditions. Pay us a visit, and get some advice from our knowledgeable tyre experts. We are certain to have the right model for you. To the contact form. Also make use of our fitting service with wdk-certified machines.